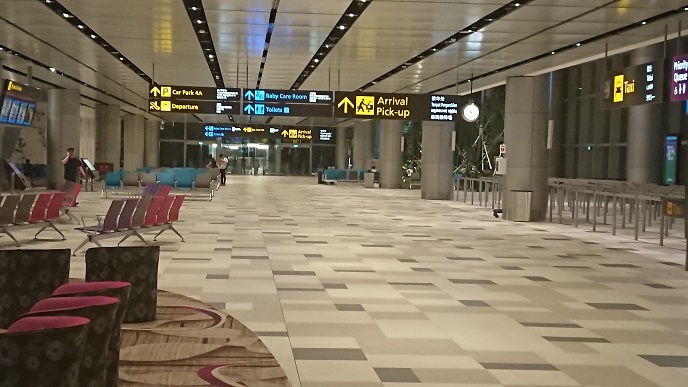 Home Archive by Category "Airport"
For clients visiting Singapore for the very first time, please do understand that there is 4 terminals in Changi airport. So, the information on the flight details provided is important. Our professional driver will be waiting at the belt area (where you collect your luggage). Note: There are might be a change in arrival terminal, but our professional driver will monitor the flight schedule to ensure timely pickup. Upon collecting the luggage, turn left and head towards the coach bay direction. There will be indicative sign: coach. There will be a McDonald’s outlet on the left. Exit through the glass door, that will be the meeting point. 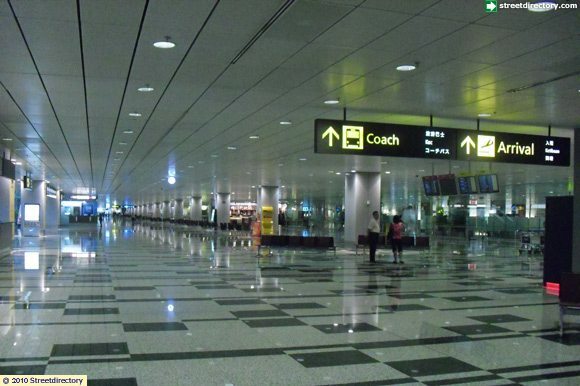 Upon collecting of luggage, turn right and head towards the coach bay direction. There is a McDonald’s outlet on the left. Exit through the glass door, that will be the meeting point. Upon collecting of luggage, turn left and head towards arrival pickup direction. It is also heading towards carpark 4a. The Mercedes Vito Viano V class is a comfortable car with enough space in the interior and well-cushioned chairs you can rely on for a comfortable trip. The car is ideal especially for a family tour of Singapore. You can as well count on the Mercedes Vito Viano V class for your corporate event or to transport your guests to your event like a wedding. The car looks great on the outside and inside and offers a good taste of luxury, with Mercedes V class your trip is not just an ordinary trip but rather a classy one with a lot of excitement as you go. Are you contemplating on hiring the Mercedes V class for your next trip to Singapore? These tips will help you decide and settle for this car. If you are thinking of transporting as many as six to seven guests for a tour of Singapore or to your special or corporate event, the Mercedes V class is a perfect fit with enough seat to accommodate this number of guests conveniently. You should rather than minibus hires the Mercedes V class to transfer your guests for the comfortable and luxury trip. Mercedes V class is enhanced on higher trim levels with two head-on airbags as well as front side airbags as standard. Available as an option also is the front window airbags to keep passengers and the driver safe. Also fitted as standard safety features are the ESP (electronic stability control), anti-lock braking system (ABS), and traction control system for good traction, electronic brakeforce distribution, and brake assist all in ensuring your safety. All the seats in the Viano have a three-point safety seatbelts with good belt tension and force limiter. The hazard lights flash to notify other motorists that the driver is making an emergency braking manoeuver. The safety features of the car are pleasing and offer a safe drive to your destination. The car is very spacious with enough leg room for every passenger to feel comfortable all through the drive. The seats are adjustable and have an adjustable head restraint also. You feel comfortable and relaxed as you drive to your destination. The manufacturer of the Mercedes Viano believes their customers deserve the best regarding comfort, hence, the reason why the car is well built for good comfort. You sure would want to hire the Viano for your subsequent trips after the first trial. Have you wished to travel in a Jaguar car? Come to Singapore and enjoy a ride in the modern Jaguar XJ. If you are already in Singapore, with Jaguar XJ Singapore, you can get hire the luxurious Jaguar XJ and travel in it. You can hire the car at an affordable price so as to save your pocket. The car has a very nice interior fixed with leather covered seats. If you are planning for an event in Singapore, this is the best car for you to attend it in. May it be a wedding party, the Jaguar XJ car will help you make the event a memorable one. With Jaguar XJ Singapore, you can surprise your partner on the wedding day with a nice car with a seductive look. The Jaguar XJ is a combination of beauty, luxury and power. It is the best car for your birthday celebration. If you enjoy driving, this car will give you a refreshing and dynamic driving experience. With Jaguar XJ Singapore, you will get a nice car with nice passenger cabin, build for relaxing and stretching. It has a state-of-the-art Touch Pro System improved by the inside and outside enhancements. Jaguar XJ has been rigorously optimized for aerodynamic efficiency and stability. It cuts through the air-reducing fuel consumption and lowering emissions. Every element exploits the exterior’s maximum aerodynamic potential while preserving Jaguar XE’s stunning proportions. The sculpted bonnet sweeps back from distinctive headlights, channeling air over and around the body and minimizing air resistance. Jaguar XJ is very fast and ready to pounce. Aerodynamically honed to sweep air seamlessly to the tail. The rising Waistline gives it a sense of dynamism, even when stationary. Chrome side vents, stamped with the Jaguar name, deliberately allude to F-TYPE, making it the best car for an event such as wedding. Powered Gesture Boot Lid for Jaguar XJ enables the driver to operate the boot from the carbide without the need to touch the vehicle key. Simply gently present your foot under one of the car’s rear corners and the boot lid opens or closes. This will make it easy for you if you will be carrying a load such as a suitcase when travelling. Jaguar XJ Singapore will help you travel in this car with electronic power assisted steering which will give you a fine control at speed and comprehensive assistance. All Jaguar XJ cars are subject to through checks and inspections to ensure they are operating well. This is done by qualified technicians so as to ensure quality services are provided. Due to this, you can have peace of mind when hiring and driving a Jaguar XJ. If you don’t want to drive yourself, you will get a good driver. With Jaguar XJ Singapore, you can get a well-trained and professional driver who will drive you to and from events, hotels, parks and many other places. The drivers are hospitable and ready to adhere to your instructions. You can also send the driver to pick or buy some stuff when you are engaged. With Jaguar XJ Singapore, you will get the best services ever and you will never regret. Jaguar XJ Singapore services are offered at an affordable cost. The pay is determined by the length of period of hiring the Jaguar XJ as well as other services that you may need. Of course, if you will want to hire a driver, you will have to pay for it. Choose Jaguar XJ Singapore for best, quality and affordable services. Visiting Singapore for professional or personal purposes? You never have to be worried about transportation ? anymore because OkGo offers you the royal style of traveling in its limousine. The tourism and business hub of Asia is one of the most visiting countries in the world. If you are also one of those visitors, then okgo will not be leaving you alone as you can hire our vehicles any day, any time and turn out your journey into an unforgettable experience. We are one of the pioneer transportation services in Singapore which is in high regard due to its quality service and professionalism. The round the clock 24/7 limousine service is charged on an hourly basis with the trained chauffeur. The limousine service could be availed for city tour, parties, hotels or even for the wedding functions in Singapore. okgo has got a wide range of limousine for its clients who can book their desired vehicle for airport transfers or for tourism purposes. The limousine services come up with the insurance that is essential for the security of our clients. The skilled and experienced drivers of okgo are absolutely focused on their tasks while ensuring about reaching your destination on exact time. This luxury limousine service can be availed on distinctive packages as per your budget. – okgo never charge you out of the league instead all the rates are charged as per hour. – You get no hidden charges at okgo on your bookings. – All the drivers hired by okgo are absolutely competent and licensed to drive in Singapore. – Upon cancellation on appropriate before time, you are charged nothing. 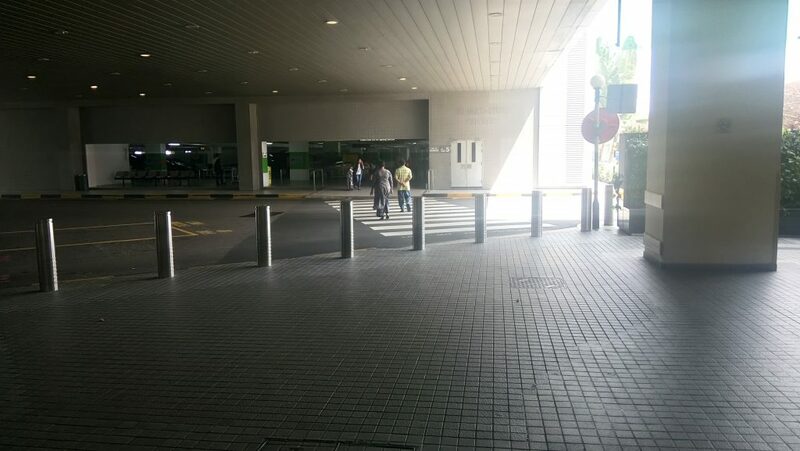 – The drivers wait for the clients to the airport for up to 60 minutes. – Our expert drivers track your flight details and make sure about being on time. – We have all the charges presented to the clients in written form even including taxation. The limousine can be hired on an hourly basis or for the pick and drop. Either you are going out for the shopping or to the conference; the okgo Limos are just a call away. The chauffeur drives you in a secured and swift environment around Singapore. You do not have to face the language barrier as all of our drivers are properly enlightened with the English language. okgo presents you with its airport transfer service on the Limo. You just have to make a booking online and the driver will be present there to pick you up from the airport. Do not forget to mention all the details like a number of people, flight name and timings along with any special requirements that you want from the company. okgo believes in transparency, thus, we calculate and charge the single amount to the clients and do not charge anything extra for its Limo service. okgo is the most reliable name in the transportation sector of Singapore that is proposing top notch limousine service.